In this community profile PharaohSteve shares the entire transcript of his interview with GOD_Shive, the most decorated racer in the ‘Verse. If your profile is correct : https://robertsspaceindustries.com/citizens/GOD_Shive you’ve been enlisted since 2013. Where were you in life in relation to gaming when you first heard about Star Citizen? Do you remember what games really had your interest at that time? You’re obviously well known for racing, but I’m curious what really turned you on to Star Citizen at that time when you first backed? Sure. I were deep into WoW pvp, and I’ve been looking at other fantasy games and MOBAS; Guild Wars 2, League of Legends, that sort of stuff. It was sort of a personal quest to try a new type of game and to see if I could climb to the top in that. In the years before Star Citizen, I don’t think I ever touched a single-player game other than maybe Star Craft II campagne… I’ve only been interested in competitive games. Star Citizen gave that flashback to n64 Star Fox for me, as silly as it may sound – because that’s all I had to compare it with. So I originally I wanted to be the Star Fox of dogfighing. I don’t think I had any other deeper thoughts, maybe I hoped the game would have been a little bit more “gamey” than it is now. How long after enlisting did you discover TEST Squadron. What was it that initially drew you to this ORG? Lol, that’s a great story. The original racing module of Arena Commander was released in sept of 2014. Did you know prior to its release that you would spend so much time in the module? How long was it before you realized that you were a top tier player? I honestly had no idea that I would spend as much time as I did, and also never thought I’d sit as solidly among the top spots as I have, although…although… this game was originally pitched to a very niche market, which has since expanded ofc… I think the average player was supposed to be 38 years old, it’s people who really like sims, so it never struck me as a super competitive community. I suspect in the future when this game becomes even bigger on content, and there’s an influx of new fresh blood that things will probably change. What profession do you see yourself in once the game is fully released? Do you feel your dedication to racing may change after that? I tell people that I want to try everything. I’m actually excited to try something like smuggling, especially while the mechanic is new – I imagine it’ll be quite the rush :D I don’t see myself grinding through mining or trade though, but I want to try it. As far racing in the PU? Hmm, I really… don’t know… It’s something I’m excited for, or perhaps I’m rather anxious. I think I’ve died on a racetrack thousands of times that it’s hard to imagine how it will be even possible without flying at grandma-speed – no offense to any grandmas out there reading! Yea, right now I just want to explore the world they make, then later pick up racing again if it looks doable. TEST has a division for pretty much every mechanic in the game. We have groups dedicated to mining, trading, pirating and of course last September we started Team Rocket to be Test’s official racing team. With TEST already being at the top of all leaderboards, what are some of your other objectives for Team Rocket? It was made with multiple purposes in mind. 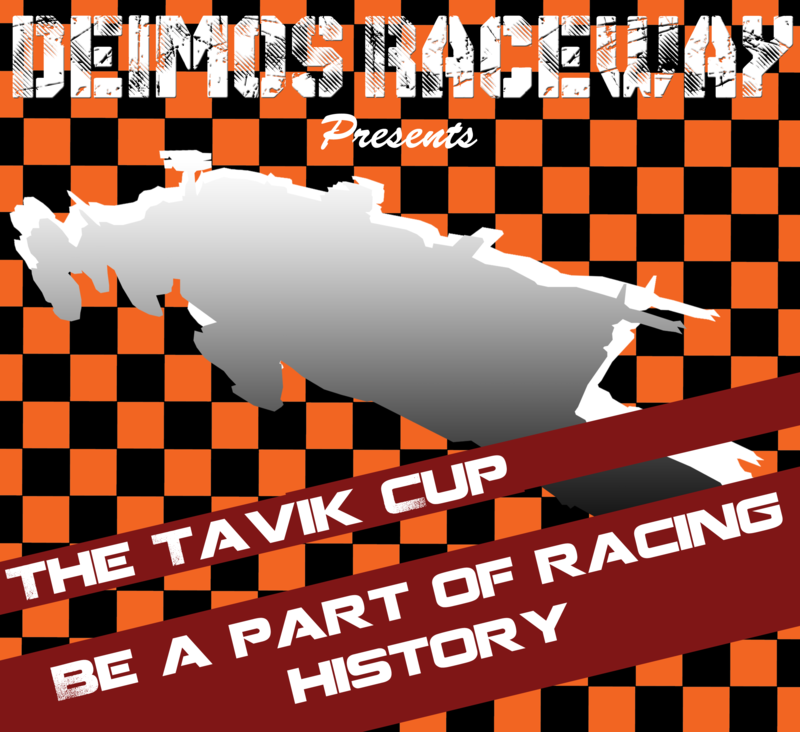 Firstly it would be nice to have a place where racers could discuss. A well of racing knowledge if you will. I’d like Team Rocket to serve as a sub-community where you can find and get the help you need to grow yourself as a racer to whatever extent you want – love those Test icons on the leaderboard :D. Secondly I had envisioned that there would be a new racing track available shortly after its creation (the grimhex track). Unfortunately that wasn’t the case. The new track would have made for some interesting in-house tournaments. Thirdly, if there’ll ever be racing a team-tournament of sorts where you can only list 1 team per org, Team Rocket would be the ones sending one. But… There as been a lot of big flight-model changes lately, which affects peoples ability strongly, and it does hurt a lot of racers confidence and motivation, so right now we just exist. That said, members are always very welcome to set up events themselves. Overall how do you feel about the recent flight changes? How has it impacted your performance? That’s a tough one. I’ve asked for cruise-speed for racing on multiple occasions, but not exactly like we have it now. The idea was that there would be a nicer feeling of accelerating up on straights. We kinda do have that, but that’s only because the tracks are really small compared to the speed we’re moving at now. You hardly hit max speed before you have to slow down and turn. I think atmosphere would play in nicely with what we have now though, as the air resistance would make the ship feel more like a car accelerating – I’m also excited to see how it would impact braking, for not to mention gravity’s impact for dives and rises. We also still don’t have any real racing tracks so I actually find this really hard to give a good answer to. Naturally this change is very large and has impacted me a lot. I’ve had to relearn to fly, and in fact, I’m still doing just that. The difficulty has increased once more, no doubt about that. Blackouts are massive problem right now, and even though we can already take unrealistically high amounts of Gs, it’s still really really rough… So in short: it feels nice to be able to go fast on straights, and it has a better sense of speed and I can’t wait to try it in atmosphere, but the G-forces are an absolute nightmare right now. When you aren’t racing what other Star Citizen activities are you doing? What other games have you enjoyed playing recently? I’ve played around with some Star Marine – love that thing, can’t wait for some more stabilization on the netcode there though. Made it to rank… 12 I think? Maybe I briefly touched rank 11 one time. I’m no fps expert so am very proud of that! I still haven’t tried what the mini-pu has to offer, think I’ll save that for a while longer. Trying to preserve as much wow-effect as I can, hehe. As for other games I’m playing; it’s a bit of everything. Overwatch, magic the gathering, Redout, Civilization VI, League of Legends and lately a game in beta called Paragon. Waiting for Mount & Blade 2: Bannerlords to come out, am really hyped for that. So yea, I’m all over the place genre-wise. I’m quite fun of Paragon myself, played it on PS4 but I can see how it’d be good on PC. Outside of Star Citizen are there any other racing games you enjoy? I was going to ask the person you have the biggest rivalry with in Star Citizen, are they the same? Ok cool, so can I get Outside of Star Citizen are there any other racing games you enjoy? You know, as a gamer, I don’t think I’ve ever seen myself as a “racer” or one who played racing games. Sure as I kid I was all over games like; Mario Kart, Diddy Kong Racing, F-zero X, Star Wars Episode 1 Racer, Need For Speed Underground… but some of those are nearly 2 decades old now and I haven’t played many since. Redout as I mentioned earlier is the most recent futuristic racing game I’ve touched, but it’s a little bit like what I imagine a psychedelic trip would be like, with wacky colours. I’m really hoping Nintendo’s switch console would bring out a new F-zero game as we haven’t seen one for many years now! (big fan of that series) Pretty sure I’d play that incessantly if that came to reality. A new Super Mario, Zelda and an F-zero game, pooh-wow what greater joy could there be beyond that, other than star citizen? Do you have a rival in Star Citizen, or who would you say is your closest competitor? What is the one piece of advice you’d give to any new Star Citizen players wanting to get into racing? And my last question, do you remember the date/year you first topped the leaderboards and how was that feeling? If you want to get into racing then, earn enough rec to rent an m50, or just buy it outright. Once you get in, lock your weapon so they’re set to fixed, so that you have no dead-zone (if you’re using mouse and keyboard like me) Take g-safe off…you’ll faint constantly, but if you don’t, then you wont be able to turn – you’ll just drift out to the side all the time. Setup your keys so you can boost and afterburn at the same time, and fly with it on at all times. Learn the track. Old Vanderval only has 10 checkpoints including the start/finish line even a goldfish can handle that You need to know where to go next as you pass through a ring without having to rely on the UI to tell you where the next ring is. Now… if you just want to get into racing, I’d say that you should try to fly the tracks at 50% speed, and slow down to no less than minimum 30% throttle on the toughest of turns. Using pitch rather than yaw and get used to rolling your ship. Once you get comfortable, you can try stepping the speed up a bit on the longer stretches :p If you want to be GOOD, you go full speed from one ring to the next, and then you slowly work your way down to a speed you can handle and take it from there. Once you’re comfortable, work it upwards from there. Awesome! Great interview man, really appreciate it! I hope my answered weren’t too long-winded and boring. If so you should have bonked me! Shive is a Test Squadron Staff Member, Test Squadron Discord Moderator, Test Gaming YouTuber and Leader of Team Rocket – Test Squadron’s official racing team. Thanks! Who would you like to see interviewed next?